The G20 summit that commences today in the German city of Hamburg has attracted a lot of attention. The fact that it is a two-day gathering of the world's top economies is enough of its own, but the massive protests that tend to occur during such events are what really gets the media ticking. Looking to capitalize on all of this commotion, Russian phone customizer Caviar has decided to commemorate the occasion in a very special way. The company that brought you the iPhone 6s Pokemon GO Edition and various other blinged-up versions of contemporary smartphones has now decided to embellish a feature phone. And not just and feature phone. Meet the "Putin-Trump Summit" Nokia 3310. Officially made in honor of the meeting between the presidents of the United States and Russia, the titanium body of this handset is coated with a "Damascus Steel" pattern. 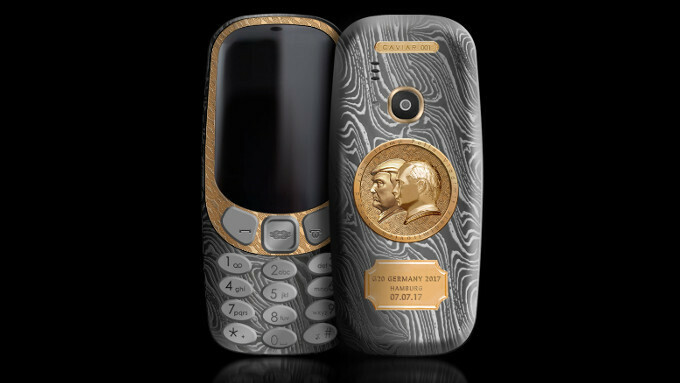 However, the obvious highlight of this opulent edition of the nostalgia-inducing "dumbphone" is the gold-plated circular emblem at the back which contains the profiles of the two heads of state. On its website, Caviar explains the symbolism ingrained in its creation. Both presidents are looking in one direction, which represents "the common desire for progress in US-Russian relations". 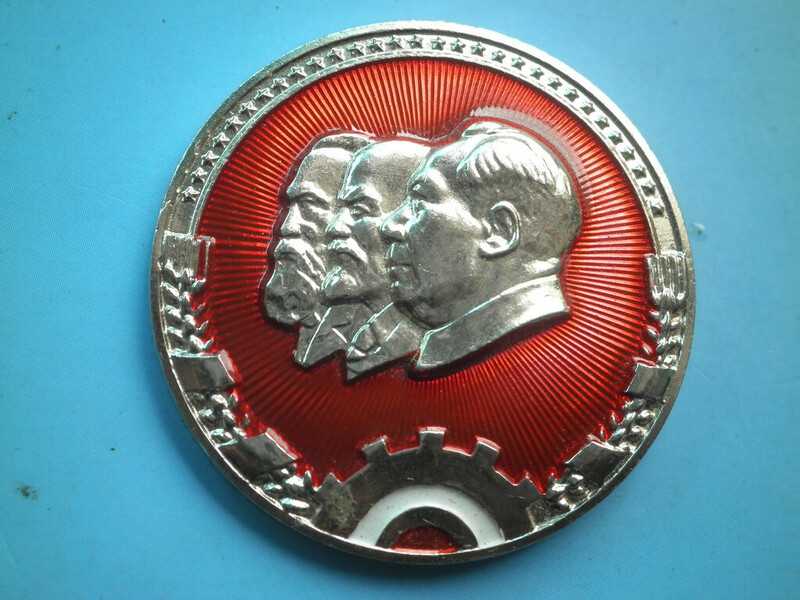 They are facing left, which is a bit cheeky, as this is the typical manner in which the profiles of various communist leaders were represented in the past. The use of hardened titanium symbolizes "the hardness necessary for the protection of justice and the interests of their country". Meanwhile, the placard below contains the date and venue of this historic gathering. The company describes the Putin-Trump 3310 as a memorable gift for anyone who's "not indifferent" to modern-day politics and finishes things off with a saying that reminds us of an "In Soviet Russia" joke - If you don't engage with politics, politics will engage with you. So, how much will this marvel cost you? Well, just about $2,500. In case you're wondering, the regular 3310 introduced in 2017 is priced at about $50. Oh, there's also a "Putin-Trump" iPhone 7/7 Plus for those of you looking for an actual smartphone going for about $3,050, but let's be honest, it doesn't look as cool. I would have bought if they had a Beyonce edition.. If you're going in order of chain command, it's Putin-Trump. More like "Nokia 3310 - Communist Edition"
Is it going to grab your ear?